Triton Systems’ Technical Manager, Mike Dunn, was asked to speak at the recent RICS Wessex Region CPD day in Bournemouth. 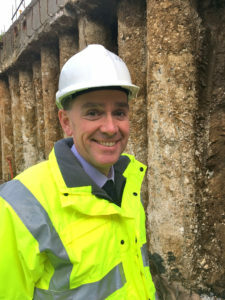 Mike’s presentation – “Prevention and management of damp” – covered best practice guidance on identification, treatment and reporting. The invitation to speak followed a presentation Mike made at the RICS Surveyors foundation level learning event earlier this year. Similar organisations looking for speakers to present on this or related subjects are invited to contact Mike direct via Triton on 01322 318830 to discuss their requirements.